Hello, polish lovers! 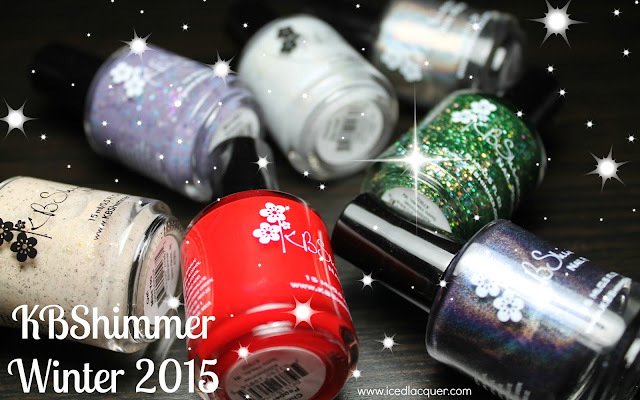 Today I'm going to show you two nail polishes I received from Vivid Lacquer. If you don't already know Vivid Lacquer makes both fantastic polishes AND stamping plates! I've actually been wanting to try some of her plates for ages and am thrilled to be able to show you some of those later this week! 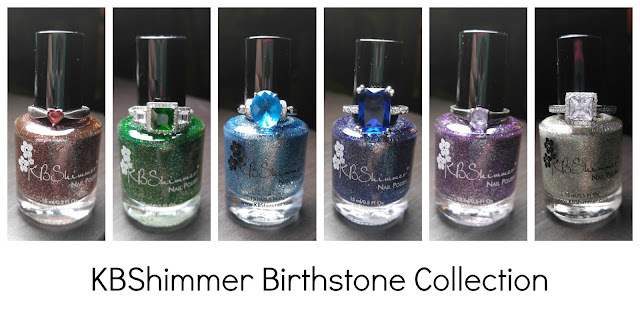 For now, let's look at the polishes. "Royally Screwed" - A clear-based glitter top coat filled with primarily white, turquoise, and purple matte glitters in several sizes of squares and hexes. There is also a good amount of micro glitters in those three colors as well as a bit of holographic micro glitter. This is two coats shown over a black creme. My thoughts: Coverage was pretty good and I didn't find it to be overly thick or hard to apply. If you're looking for a topper with these colors then I think it would be an excellent pick, but personally I'm just not blown away by the combination. "S.L.U.G. Queen Sadie" - A yellowish green jelly base filled with lots of teal iridescent micro glitter and what appears to be small pink/purple/gold iridescent flakies. This is five coats shown layered over Essie "The More the Merrier." My thoughts: I always strive to be honest when reviewing a polish, even when I don't necessarily have good things to say about it. This is one of those times. 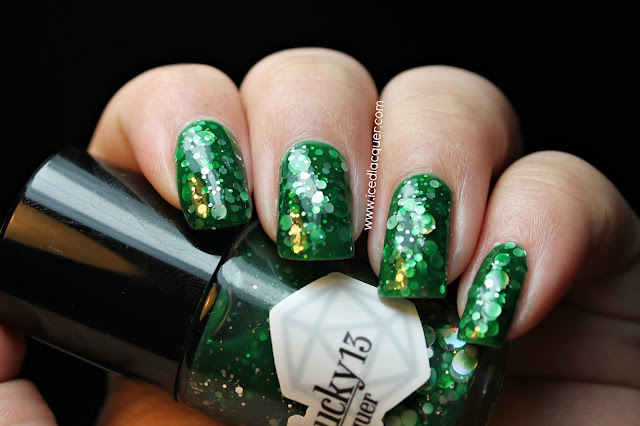 I adore green polish and pretty much all things green, however I did not like this polish. It was so sheer and difficult to build! Even over the green creme base, five coats was still patchy. In the bottle it looks like this dark, forest green color but once you apply the first coat you can see it's much more yellow toned. Judging by the name of the polish, the intent was probably for this to look somewhat slimy and slug-like, but I personally don't find that a very appealing polish to have on my nails. Anyway, if you're going for a glitter-filled slime look, this one is for you! As I mentioned above, I'll have some more things from Vivid Lacquer to show you later this week! For now, make sure you follow Vivid Lacquer on Facebook HERE and check out the other amazing products offered on Etsy HERE!